NJT isn't the most punctual with news posts *Cough* weekly trans and scans post *cough*. So I've been asked to help fill in the blanks ('cause NJT IS SO LAZY Busy!). I'll be posting news, reviewing manga / anime and various interesting things to keep you checking the front page and to make sure you don't forget it actually exists! As for who I am... hmm, Reactive, a blogger and scanlator, pleased to meet you! 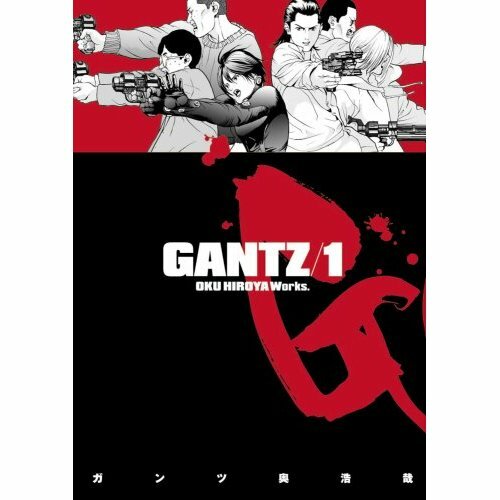 Ok, so for the actual news: DarkHorse released this week the first volume of the manga Gantz, by Hiroya Oku, and they were nice enough to send 10 copies to the folks at AnimeNewsNetwork, and they're nice enough to give them away to their readers. So what's the "catch"? Nothing, you just fill out a form with your Name, email and real address and birthday and that's it! For those of you who haven't had a chance to read this, you can check the preview offered by the DarkHorse guys. For those of you who can't wait, you can order it on Amazon or Rightstuf. hehe, i guess they want to know how big of a market there is for gantz. when they stop giving it away, how many will continue to buy it. hmm, think they'll censor out the boobies? @3: A "proxy" address is putting an address within the confines of the places they mentioned, United States and Canada. If you live in Europe, you have to put an address within any of those 2 countries so they can send it to, and then that person might send it to you. Maybe a relative's house, a friend's, or something.